Kraftsman offers a wide variety of safe surfacing options that keep accidents from becoming emergencies. For better or worse, falls and spills are a natural part of play time. What a child lands on makes a huge difference in what happens after the fall. 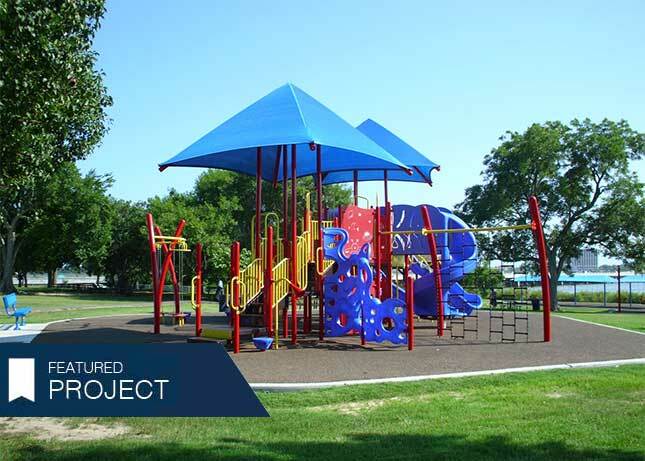 We provide several safe surfacing materials and hardware, including loose fill surfacing, poured in place (PIP) surfaces, plastic curbing, ADA ramps, rubber mats and tile surfaces that will keep play time running smoothly. 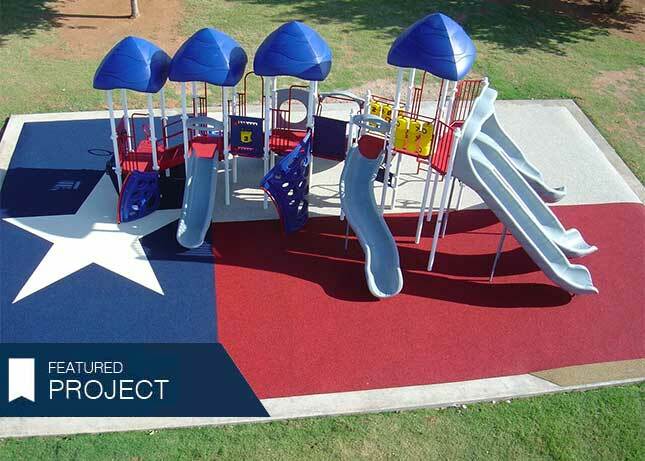 New Play equipment was installed on a concrete slab with patriotic colors. The Poured in Place rubber surface was poured to match the Texas Flag! 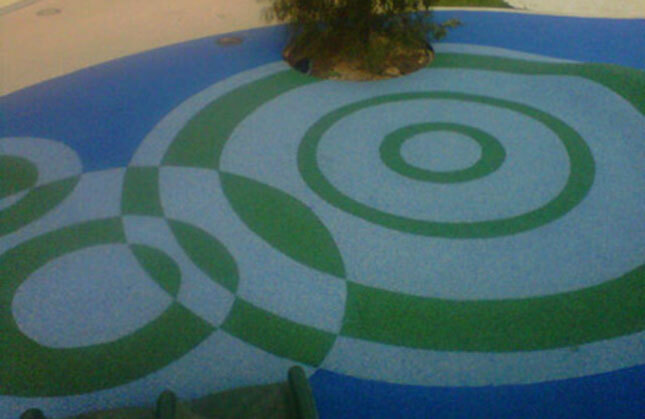 Multiple play areas and courtyards were covered with Poured in place rubber surfacing. 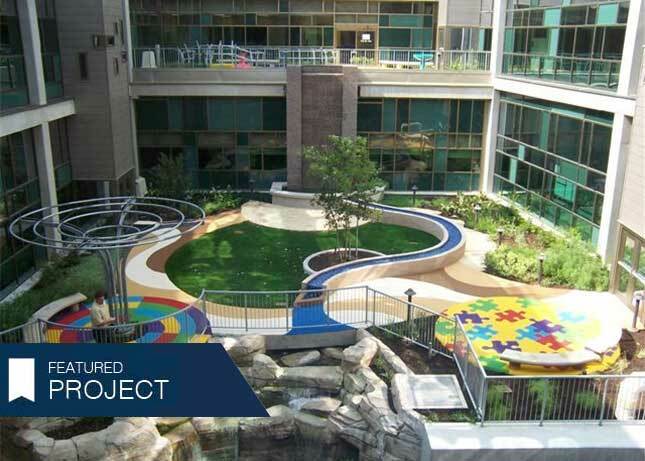 Primary colors were used to create a colorful, joyous area at the hospital. The surface was also colored to look like puzzle pieces on the ground. Existing playground equipment removed due to age of equipment. Kraftsman built 2 new separate play areas for toddlers and 5-12 year olds. Each area includes shade canopies over the equipment along with Poured in Place rubber surface. Shaded Swings were also installed to provide a Kool Swinging experience while looking out over Clear Lake!